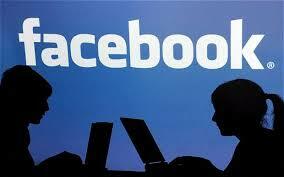 Facebook Rules of Engagement | askthe"Bigot"
I was recently unfriended on Facebook. Shocking, I know. It may (or may not) surprise you to hear that it was by one of the most vocal promoters of tolerance and acceptance in my cyber Rolodex. For those of you who don’t already know, the Facebook stages of grief are: disbelief, outrage, snark, questioning and acceptance. Funny that last one. In this use I actually mean acceptance. Not the one practiced by my now ex -friend. And if you want to take it further (and be biblical while you’re at it), follow acceptance up with a blessing. Now that my time of mourning has concluded, I thought I’d share with you a bit about my Facebook philosophy. Foremost Christian friends, you are missionaries. If you didn’t know it, go review 1 Peter and then come on back. We are to be a royal priesthood to the world and our Facebook activity is just one more avenue for Him to be known. But, like in all the other facets of life, your method will speak as loudly, or louder even, as your message. In that vein, I advise the following guidelines. Use Facebook as an opportunity to give. Be generous (and honest) with your “likes” and comments. Maybe you don’t agree with everything that your friend says and does, but like her selfie, his SHOW OFF risotto creation, and her SHOW OFF pics from Cabo. Facebook offers so many ways to SHOW OFF, I mean, “connect and share with the people in your life.” But as the sage, most wise, gracious and alarmingly charming Frau M says, “make deposits so when it is time to withdraw you have plenty of credit”. Give generously. When someone exposes their grief, fear or weakness, rush to them. This is best done underground (messaging) so you are writing to them only and not to gain favor from those who would read your comment, no matter how much wisdom and fabulousness you are dishing out. Do not simply type “I’m praying for you.” Ask if you can pray for them, wait for an answer, and message a prayer immediately. Get it? Write the prayer to them. God hears you even when you are typing. Then give any possible, real world, tangible help for their situation. Write them a week or two later to follow up. Extend friendship liberally. In general, I don’t friend people I don’t know in real life. I do however, sometimes reluctantly, accept invitations from people radically different than I, whether it be their place in life or world view. Remember, the goal of life and Facebook is not to create a safe Christian haven for ourselves. The point is to let people see us live- the struggles and longings, as well as the victories and provisions. This is our primary apologetic, which is not about proving ourselves strong, but about revealing a mighty God. Invite everyone in. No drive-bys allowed. If you choose to get into a conversation about a sensitive topic (and I would suggest that initiating controversy should be rare), you must go all the way. It is incredibly bad form to lob a fireball into the thread and chicken out. We are called to be courageous, not cowardly. We must neither bend God’s truth to fit the audience, nor allow our hearts to be calloused to the ones with whom we are speaking. Be gentle and stand firm for as long as the discussion lasts. No un-friending. Inevitably, there are times where you will clash with your Facebook friends, especially if you have connections to those whose worldview drastically differs from yours. Believe me, there have been times when I have wanted to anesthetize my news feed by unfriending or blocking someone for whom hostility is recreational. But we are called to be salt and light and that means that when we are uncomfortable, we don’t get to withdraw. And don’t use that “throwing pearls before swine” excuse for retreating into a cushy virtual-world because Jesus also said “do not resist an evil man.” We can be discerning about what to say and when, while we extend ourselves to all. So there you have it, replete with bullet points. (Readers like lists, I’m told.) I would love to hear your thoughts on Facebook as a tool for sharing God’s truth and loving others. So… what would you add? ← Would you attend a gay wedding? I think if your god is so great he should contact Zuckerberg and start his…oops sorry, His own Facebook page. I wonder if He would allow one to un-friend Him? What do you think his FB photo would look like? He does and everyone’s invited. You just have to accept his request. And what’s his…darn there I go again..sorry. His profile pic like? Oh, and you should open up your own blog rather than be all mysterious. I’d come an visit. I promise. I really enjoy your articles. This one especially speaks to me because I can be a total coward at times and I often find myself pulled into conversations (by my own stubborness) on Facebook with the full intent of being kind and loving but inevitably, after some time, my wit becomes sarcasm and my sarcasm becomes snark. I then pull myself from the conversation because I’ve missed up my witness so badly that no one will listen to me anymore. I have no idea where the need to make people feel awful when they disagree with me comes from, but it is something I am praying about and really trying to change. Man, I hear you. If I were to ever delude myself into thinking that I had been fully sanctified, all I would need is to be attacked on a blog or FB thread to see that my old nature is alive and well. My involuntary response is to use the same tactics as my opponents- belittle their intelligence, call into question their integrity, identify the greatest flaws in the lives of those who claim to agree with them. So usually I cannot respond immediately. It takes a few moments (or hours) to “put on the new self” (Eph 4:22-24) and respond in a way that values the person without shrinking back from the argument. If it’s any help, I find that the way to do this effectively is to attack ideas and scrutinize principles only, and not bring up anything specific about someone’s personal situation. This is challenging, because the motivation for much of what drives these discussions has an emotional element. Godspeed, friend. Thanks for commenting. No no, my dear. This is not about intellect. Ark has had his over-developed cranium on display in every stitch of this thread. He’s a smarty and no one is denying it. You deny that your cranium is over-developed? I thought it an accurate and complimentary statement. For shame, I must have misjudged that spikey somewhat ascerbic exterior. I had not realised it covered a sugar-and-spice-and-all-things-nice-Jesus wants-me-for-a-sunbeam interior. Tell me, do have trouble removing those wooden splinters from your bottom after spending all that time riding around on your broomstick? Hmmm… Make up- wouldn’t that be nice. Kiss- not so much. The great thing about having you around, Ark, is I get lots of opportunities to practice what I preach. The term, kiss and make up was meant in a metaphorical sense. Although for a Stone God, I am told I am a pretty good kisser. Well you definitely need lots of practice that’s for sure. Love the post. It’s well reasoned and insightful…not uncommon for you. Way to put on the armor! Thanks friend! Love to see you here again. It’s been too long! Hope you are doing well. I know. I have the Twitter name reserved, but honestly I feel like Twitter has an element of self promotion. ( maybe I don’t fully understand the function of Twitter.) And I don’t know how to reconcile that with the believer’s call to focus attention on Christ and not yourself. Not to mention, I am committed to fielding comments and allowing anyone to contribute to the conversation. And I don’t know if I can manage any extra traffic. Does that make sense? Thoughts? For me I think Twitter is a great way to do just that: Focus attention on Christ by interacting and building up others. I haven’t been on it very long (I tried it once before but never got the hang of it until a few weeks ago). I share quotes that I think share God’s truth (a lot by C.S. Lewis etc) but also I just share parts of my day and show interest in other people’s day. I feel that being part of the church body is to share life with others in a hope that they too share life in return. I think your blog gets more traffic than mine so I don’t have to worry about the extra traffic! Don’t laugh when you find I’m your first follower on Twitter. I have a Twitter name, too, although I’ve forgotten it long ago. I’d follow you on Twitter, but it’s not my preferred social media and I think it would be extra work to field the comments….you already get many! Thank you, dear friend. You are such an encouragement to me. This is a truly unique perspective. I’ve gotten myself into several rather heated conversations on Facebook and other forums trying to push back on the perception that defense of biblical marriage does not stem from bigotry, and trying to point out that Christ’s love is all-inclusive of persons but not all-inclusive of behaviors and lifestyles. At the same time, I am aware that I myself have failed to take seriously Christ’s demands on my own life. So this blog speaks powerfully to me on both fronts. Thank you for your hard work in this area, and if you can spare a thought pray that the Lord will give me the strength to fully commit to him! Thanks so much for your comment. I think you have nailed it. That whenever we speak out on any issue, we have to be able to look honestly at ourselves and recognize that we too fall drastically short of God’s expectations for us. These topics must always be approached with deep humility. And I certainly have room to grow there as well. I will pray for you friend, if you pray for me also.